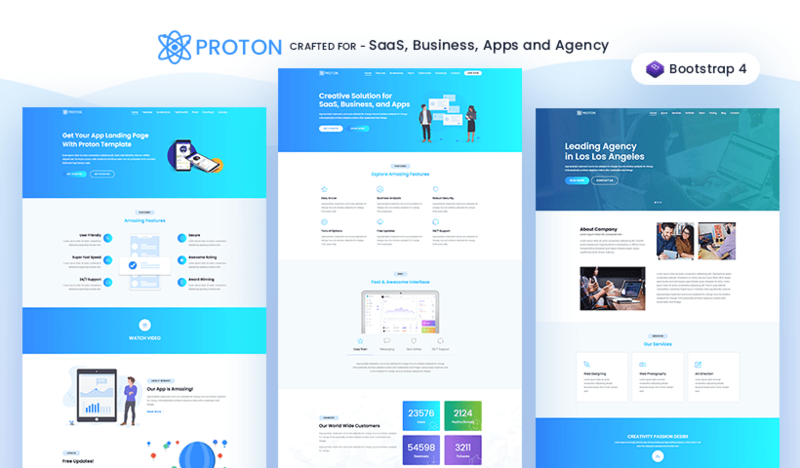 Proton is high-quality Free and Premium Bootstrap 4 HTML5 template specially crafted for – WebApp, Startup, Agency, SaaS (Software as Service) and App Landing Pages. Proton is very trendy and well-designed website template packed with all essential features. It comes with 4 different homepage variations, which will give you extra freedom to choose perfect one depending on your project type. 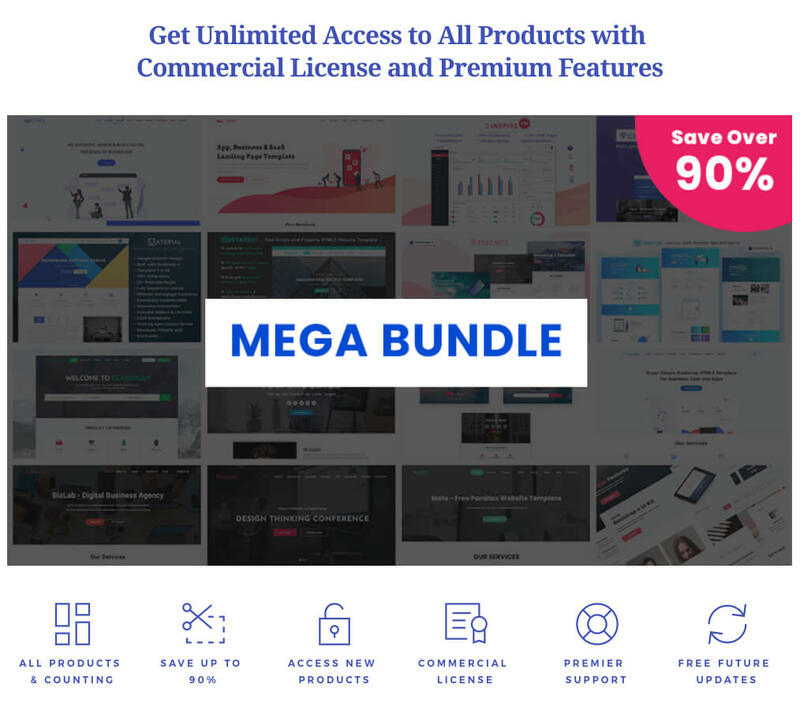 Proton has tons of sections and elements such as –hero area, 2 different slider, team, pricing, services, tabs, counter, scroller, gallery, blog, contact form etc. targeted for multi-purpose websites, so you create a complete website without spending extra time. Proton developed by following block-based coding structure also css generated using sass so, you can customize this template easily and extensively.